Regrettably, it’s been almost three years to the day since my last post. Instead of offering excuses and lamentations, I’d rather get back in the groove by honoring some milestones, and during Women’s History Month, there is all the more reason to commemorate several women in my ancestry with significant milestones this particular month. So, let’s get started with a birthday…a 150th birthday. Teresa Cirilli (or Cirillo, depending on the record) is my great-grandmother via my maternal grandfather, Saverio La Forgia. Most people in our collective ancestry are like Teresa. At face value, her life would neither warrant an Ancestry.com commercial nor a profile by Henry Louis Gates, Jr. Most standards would label her life as quite unnoteworthy. Many of her living descendants would shrug with unfamiliarity at the mention of her name. Moreover, little is known of Teresa’s personality or temperament (though the restored photo at right doesn't exactly cast warm and fuzzy vibes). Nevertheless, without a doubt, her actions and choices cast ripples through time that will be felt far into the future. It is a reminder of the impact we all have, no matter how “small” the scope of our lives may seem. 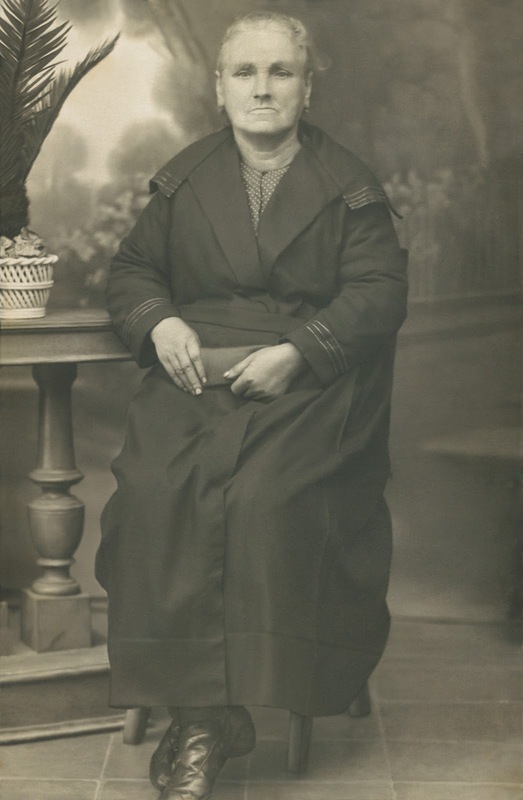 Born on March 7, 1866 in Molfetta, Italy, Teresa was the eighth of ten children born to Saverio Cirilli and Lucrezia Sgherza. 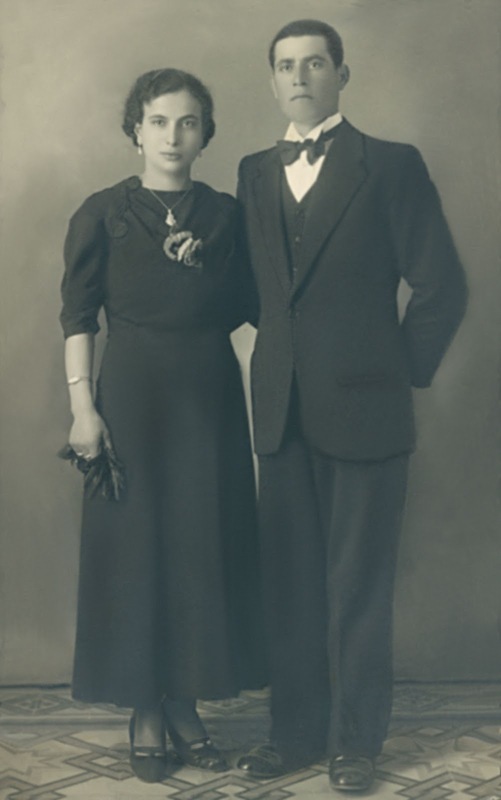 At age 21, Teresa married Sergio La Forgia, a peasant farmer like her father, who was almost 9 years her senior. Together they had eight children. Since she lost three siblings in early childhood, Teresa was no stranger to the high mortality rates of the time. Regardless, this must have made it no easier to outlive three daughters (two of which died at 5 and 3 years of age, respectively). Upon the relatively early death of her husband, her three sons, Giovanni, Cosmo, and Saverio, took on the mantle of breadwinners. Like many of their Southern Italian contemporaries, all three explored opportunities abroad. Saverio spent time in the United States, but returned to Molfetta to marry and start a family. 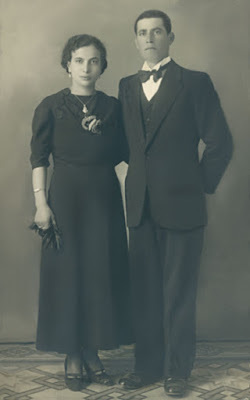 Teresa’s surviving daughters, Liboria and Lucrezia, eventually moved permanently to the United States with portions of their respective families. In contrast, Giovanni and Cosmo chose to settle in Argentina, never to see their siblings or mother again. According to anecdotal information, Teresa struggled with dementia in old age, a burden sadly shared by many of her descendants. She lived to age 87, passing away on May 6, 1953. Teresa may have never left the town of her birth, but she has descendants on at least three continents. She neither had formal schooling nor held any official posts. However, teachers, engineers, financiers, scholars, entrepreneurs, chefs, armed services professionals, etc. count among those who would not exist if not for her. As we research our family histories, we are prone to be consumed by the juicier, exciting, or perhaps glamorous details. It is easy to overlook those who took on the challenges of life to push their families forward as best they could, and quite frankly, we should all be so lucky as to be remembered that way. With that, there’s only one thing left to say, Buon Compleanno, Bisnonna Teresa. No one can tout Molfetta, Italy, as a cradle to the world renowned. 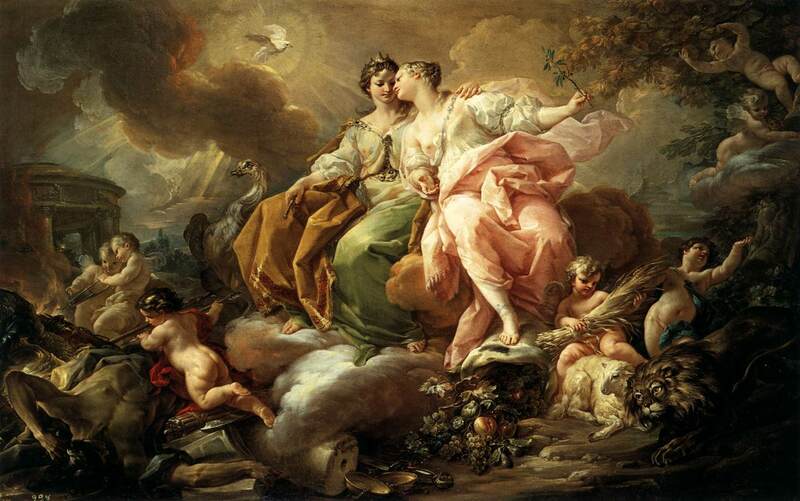 Nonetheless, it has produced its fair share of notables through the ages from the 18th century artist Corrado Giaquinto to the anti-fascist author and statesman Gaetano Salvemini. The most renowned modern-day figure with roots in Molfetta is the master conductor and present musical director of the Chicago Symphony Orchestra, Riccardo Muti ...with all due respect to rapper Caparezza. Those of you with knowledge of Maestro Muti may be thinking, "Wait a minute! Isn't he from Naples?" Well, you're only partially right. 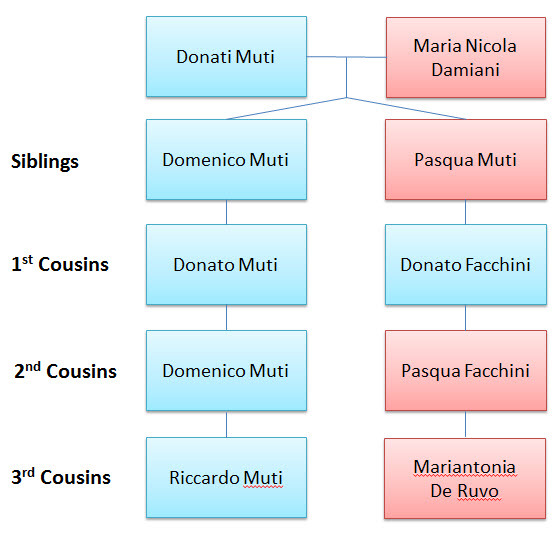 Muti's paternal family ties to Molfetta go back centuries. He also spent most of his early life through late adolescence in Molfetta. 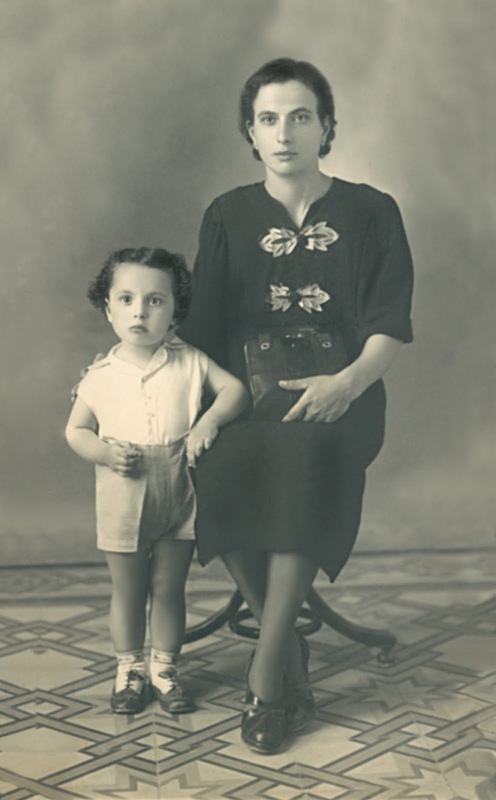 However, his mother, Gilda Peli-Sellitto, was from Naples, and he was apparently born there. According to Muti's 2010 autobiography, her pride in her hometown was so intense that she traveled back to Naples each time that she gave birth. When questioned later by her children as to the impracticality of this unnecessary travel, she rationalized her actions quite bluntly. To paraphrase, she claimed that as her children went out into the world it would be far easier for them to simply say that they were born in well-known Naples than to have to explain the location of far lesser-known Molfetta. While this explanation elicits eye rolling from many of Molfettese heritage. the Maestro should be taken at his word until relevant records are legally made public (or when Donald Trump runs out of other public figures to harass over frivolous birth document disputes). Besides, as his autobiography affirms, the physical location of his birth did nothing to diminish his personal affection for the town of his youth and paternal ancestry. As Riccardo Muti rose in international notoriety during my childhood, my paternal grandmother and father would occasionally mention their experiences with the Maestro's father, Domenico, back in Molfetta. He was the local doctor, and little Riccardo would often accompany Domenico on his horse-drawn wagon enabled house calls. My grandmother would always end noting that we were somehow related to the Mutis, but the process of confirming a family connection seemed too convoluted to pursue. Fast forward twenty-five years, and I've discovered a passion for tracing family histories while Riccardo Muti is in the news due to his tenure in Chicago. Unfortunately, since I could dedicate precious little time to sifting through microfilms of Italian records at my local Family History Center, proving this particular family link did not hold a prominent place in my list of research priorities. However, my friends, things just got a whole lot easier. It is now the dawn of new age in Italian family history research. 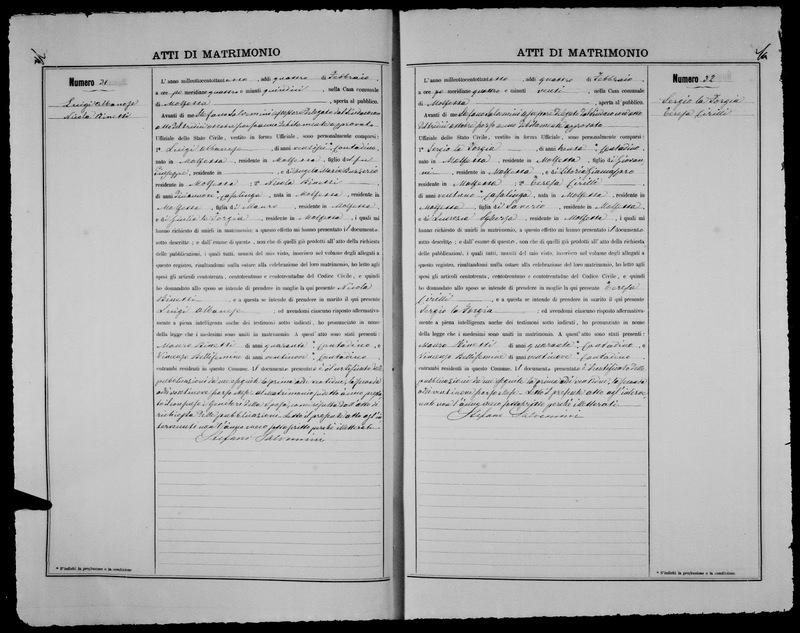 As I mentioned in a past blog post, Taking Our Italian Legacy Digital, Italian civil registration records from the 19th and early 20th centuries are being digitized through a partnership between FamilySearch and the Italian National Archives. This ongoing project has already made millions of records accessible for free at the Ancestors Portal run by the Italian National Archives. 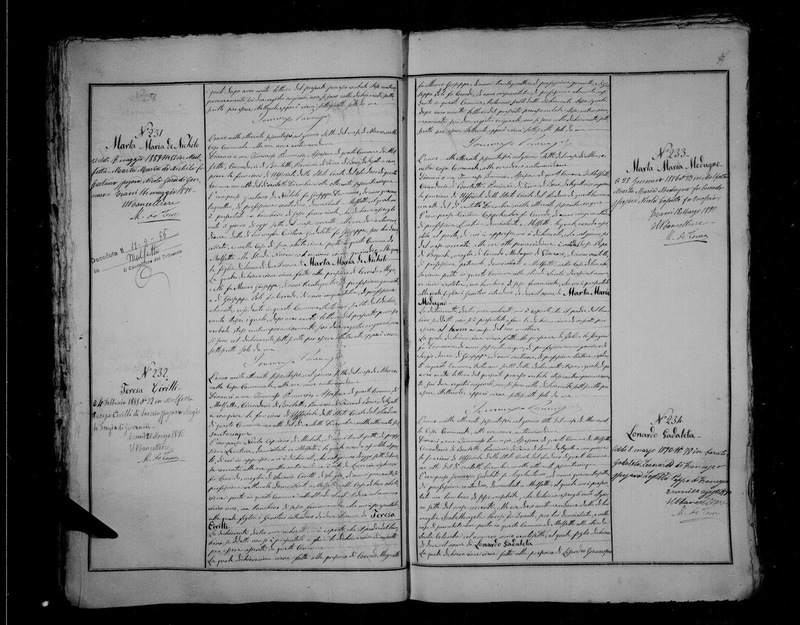 While the site can often be tough to navigate and record indexing may take eons to complete, the mere existence of these documents in digital form is a game changer for anyone interested in exploring Italian heritage. What would once require many strategically planned trips to an FHC can now be done from the comfort of one's own home as time permits. 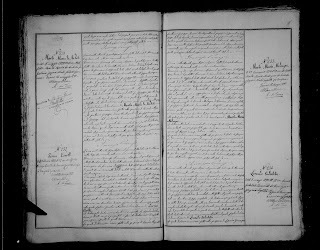 In addition to the 19th century records for Molfetta from the Bari State Archives on the Ancestors Portal, FamilySearch.org has a decade's worth of records from the early 20th century from Molfetta within a Trani courthouse collection. With the help of these records and the Maestro's autobiography, family rumors transformed into evidence in a matter of hours. In short, as the basic diagram below illustrates, my paternal grandmother was Riccardo Muti's third cousin, making me his third cousin twice removed ...Lucky him. Obviously, no one in my family anticipates free front row tickets to Carnegie Hall any time soon. While amusing, exploring links to celebrities is just a tiny aspect of family history research. However, I feel it's safe to assume that cousin Riccardo wouldn't mind having taken part in illustrating how these newly accessible records could spawn a golden age in Italian genealogy. How would my father react to the revelations regarding his father's disappearance? After all, Damiano was lost almost 70 years ago. My father was only an infant when Damiano went off to war. Therefore, he had no memories of him. His mother had passed on 20 years ago, and thus, another link to Damiano left with her. My father's life was now occupied with the travails of aging and the joy drawn from his grandchildren. What place, if any, would the news of Damiano's fate have on his present reality, or for that matter, on his future? When I decided to share what I had learned with my father, I did not expect an emotional moment worthy of a Steven Spielberg epic. On the contrary, I expected a barrage of skepticism grounded in seven decades worth of perceptual defense. However, without meeting my eyes, he just asked that I leave behind some documents so that he could examine them when he was alone. Anyone who knows my father would have been confused by this reaction. My father has never been known for lukewarm responses to anything, let alone news of this nature. Initially, I misinterpreted his reaction as a dismissal from a man who had no desire to reopen old wounds. However, during a subsequent visit, I realized the truth. Unprovoked, he asked me if there had been any new developments. Then with an uncharacteristically calm, serene manner, he asked me to inform him if he could be of assistance as we work to ensure that the perished POWs of the Oria shipwreck are remembered properly. It was then that I understood that he could not provide an immediate response to the unexpected news. He needed to deal with the discoveries on his own terms and in his own time. No doubt, after all this time, who could blame him? He deserved to confront the news how he saw fit. All the loved ones of these lost POWs deserve that much. As I was sharing this new found information with my family, our international group took on numerous initiatives to raise a broader awareness so as to provide others unknowingly connected to the Oria the same opportunity for closure. The website PiroscafoOria.it became a central portal for consolidating information and erecting a virtual memorial. Many of us (too many to list without risking unintended omissions) took on projects large and small to raise awareness. These have included newspaper articles, speaking engagements, conferences, and pieces for Italian television. Most recently, the Italian television program, La Vita in Diretta, did a follow-up piece on the 69th anniversary of the shipwreck this past February 12th. As a result of these efforts, many people have learned the truth about lost loved ones. It is tragically too late for many family members who deserved closure, but as the video above testifies, many daughters, sons, grandchildren, and even siblings are finally able to relieve themselves of the burden of seven decades of painful ambiguity. Furthermore, additional eye witness accounts have been gathered. Amazingly, this includes former Italian POWs, now in their 90s, who were almost boarded on the Oria and were then forced to endure the poorly managed efforts of recovering and burying human remains after the shipwreck. Though much has come to light, there is still so much more to accomplish. As of this writing, only 115 of the more than 4,000 Italian POWs have been identified and memorialized on the virtual Wall of Honor. Numerous formal letters and emails have been dispatched to federal and local Italian institutions respectfully requesting assistance with matching passenger list names with records of soldiers missing in action. Sadly, the response has been a mix of condescension and bureaucratic apathy, which has only intensified as Italy's political and economic turmoil churns. Most responses simply assume that we seek monetary assistance, which is quite frankly insulting. A mere authorization to release data pertaining to Italian soldiers missing in action during the period and vicinity of the shipwreck would be a godsend to our efforts. Besides Italy's continuous political and economic challenges, we can only speculate as to why the Italian authorities have not offered any proactive assistance. Regardless of the cause, the response to date sets a disturbing precedence. Furthermore, what message does it send to current Italian serviceman and their families? If financial concerns are at the core of these responses, why not propose gestures that cost nothing, such as a dedicated moment of silence during a ceremony on an existing national holiday of remembrance? If formal assistance cannot be provided for objectives such as preserving remains and artifacts or erecting a memorial, why add insult to injury? Why not focus on what can be done rather than on what cannot? Despite these obstacles, simply being a part of these efforts has been one of the most rewarding experiences of my life. Each emotional message from someone who is just learning the truth about a missing brother, grandfather, father, etc. has only strengthened our resolve to continue our efforts. Next February, the 70th anniversary of the shipwreck, I plan to visit the site of the tragedy personally on behalf of my father, grandmother, and all those who knew and loved Damiano. I look forward to personally thanking Telis and other friends who have done so much. I hope to honor the lost of the Oria with as many other family members of victims as possible. These men were lost to their families, and they were almost lost to history. Now, we can ensure that they will not be forgotten. Their memory will live on as another reminder of the incalculable costs of war and the consequences which ripple through time. One of my earliest memories is of a large framed photograph of Damiano leaning against boxes as we moved into a new home when I was around two years old. When my father and grandmother lived in Molfetta, this photo had a prominent place beside a lit candle with other photographs of the dearly departed. The tradition ceased in our household upon my grandmother's arrival in America, and the photo was respectfully stored away. Nonetheless, Damiano's memory remained a strong presence. My father and grandmother would occasionally speak of my grandfather's loss. The most common theories shared was that he was placed on a boat by the Nazis who then sank it with explosives in retribution for his perceived treachery. I now know that murderous revenge was the only logic they could project onto the vague information received from the Italian Ministry of Defense. It was the closest thing to closure that they would be allowed for decades. Since I was the first born male in a traditional Italian family, there was little debate over what I would be named. As I grew up as Damiano's namesake, I would occasionally wonder about his fate and its impact on my family. Had he lived, would I have paternal aunts, uncles, and first-cousins? Would my family have come to America at all or just stayed in Italy? Would I even exist? However, one question was most prevalent: What really happened to him? As I entered my early 30s, I was struck with the realization that I had reached the same age as Damiano at the time of his disappearance. I just decided that learning the truth was worth a shot, and I had nothing to lose by simply trying. The Oria - The steamship Oria left Rhodes on February 11, 1944 carrying over 4,000 Italian prisoners of war captured by the Nazis. It's destination was Piraeus on the Greek mainland where the prisoners would be transported to prison camps. However, in the early hours of February 12, during an intense storm, the ship hit a reef while navigating shallow waters along the island of Patroklou. When I first learned about the Oria, most of the information was anecdotal and lacked documented evidence. Aristotelis "Telis" Zervoudis - In the early 2000s, Telis, a Greek diver, began to make inquiries into the debris of a shipwreck in Cape Sounion. In addition, to collecting local information in Greece, he reached out across the globe for any relevant data available. If it weren't for Telis, we may never have learned the truth, and we all owe him a great debt. Serendipity Happens - Call it a lucky coincidence, but before long, I began to encounter others on a similar quest. 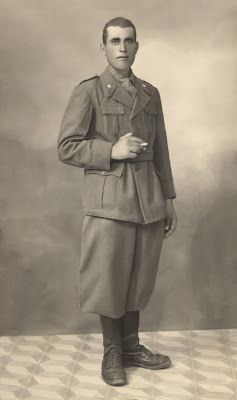 Each of us bore similar scraps of information concerning a lost relative who had been stationed in Rhodes, and in all our stories, the date February 11th or 12th, 1944, somehow played a significant role. One of us started a Facebook group, which for a long period had less than half a dozen members. As of this writing, it will soon surpass 150. In the meantime, I began to collect any documentation available. I started by asking my parents to provide me with whatever documents my grandmother may have left for us. My greatest challenge was wrestling with my angst towards the infamy of Italian bureaucracy. I knew that I had to reach out to the Italian State Archives for official military documents, but tales of delays, runarounds, and indifference dissuaded me for longer than I would like to admit. I finally overcame my aversion by using advice I found online, such as within this thread on the ItalianGenealogy.com forum. Once again, I learned that you only gain when you try, and what I gained was an unexpectedly intimate glimpse into the past, particularly within Damiano's "registro di leva". (conscription records). 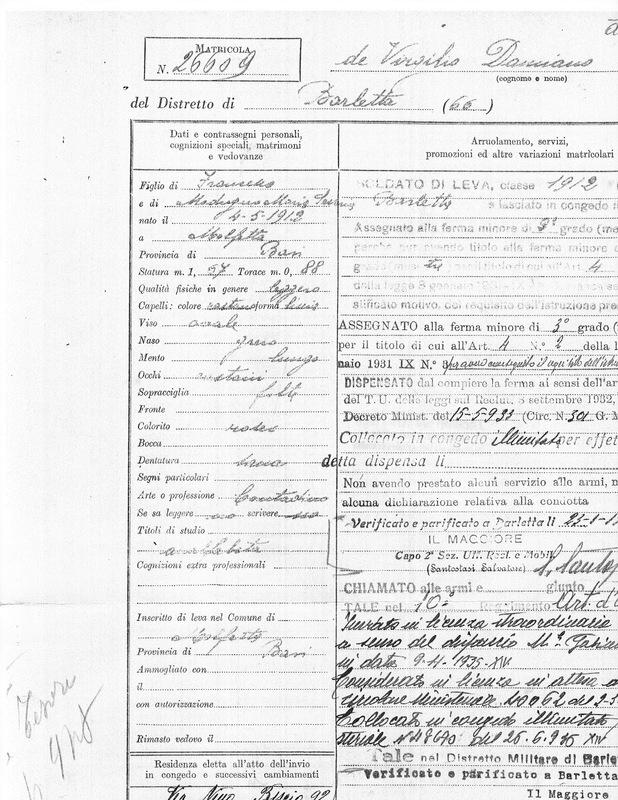 Besides standard information like date of birth, parentage, and hometown, a registro di leva may also include very unique, personal details about a draftee. Traits that further humanized my grandfather and weren't evident in black and white photos. For example, I learned that Damiano was almost 5.5 feet (1.67 meters) tall. Therefore, he was no giant by modern standards though his contemporaries may have disagreed. His hair and eyes were brown, and he had a "rosy" complexion with a "Greek" nose. The record itemized his military activities from shipping out from Barletta to Rhodes as part of the 35th Artillery Regiment to its haunting conclusion. To paraphrase, it abruptly ends stating that he was imprisoned by the Germans on September 11, 1943, and by all accounts, he comported himself honorable. No additional details were provided. 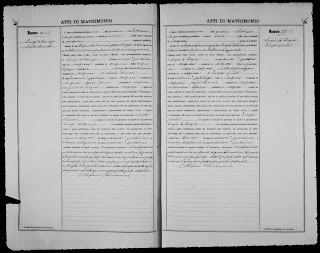 Last entry in Damiano's conscription records. With no details of his fate, shipwreck or not, I felt as though I was back at square one. My mind played with all kinds of fanciful scenarios. Perhaps my grandfather didn't die. Maybe he escaped the prison camps and decided to start a new life on a Greek island like characters in the 1991 Academy Award winning Italian film Mediterraneo. Both instinct and reason told me otherwise, but only documented proof could provide validation. In the meantime, our small band of researchers began to grow as other descendants of Italian soldiers with similar ambiguous fates began to surface in response to posts on message boards, Facebook, and other social media. Individuals from websites, such as Dodecaneso, and formal organizations, such as Associazione Nazionale Divisione Aqui, began to generously offer counsel and resources to facilitate our quest. However, the Italian government kept us at a distance with diplomatic and often condescending responses. Undeterred, we kept searching and asking questions. We held onto the shaky belief that some form of official record must exist if a shipwreck of this magnitude occurred, even amidst the chaos of war. However, the probability of an actual list of prisoners transported on the ship coming to light seemed the slimmest likelihood of all. Damiano's misspelled name on the Oria passenger list. Why I expected Damiano's name to simply jump out at me is a question which embarrasses me to this day. Had I read the list just one more time, I would probably have caught the obvious. Nonetheless, one of my research colleagues, Barbara, responded almost immediately to point out that De Virgilio Daniano was misspelled on the list as Di Virginio Damiano. To say I was ecstatic and relieved would be an understatement. However, I also could not help but wonder how much this meager two letter typo had contributed to the mystery through the years. Today is the 69th anniversary of the Oria shipwreck. While no memorial has been erected and artifacts and human remains still lay along the bottom of the Aegean, various members of our group are taking steps to ensure that the date does not pass forgotten. This includes a brief piece on the Italian television show La Vita in Diretta on Rai Uno. In my next and final post in this series, I will share the successes and challenges faced as we try to make up for almost seven lost decades and counting. When I began to explore my family history, I naturally expected to discover my share of ancestors who were completely new to me but were known to other living members of my family. I anticipated moments where I would mention a newly found name to a relative, and the response would be "Nah, niorsi, m'ricord ca...." Putting aside my pathetic attempt to write "Nah, yes, I remember that..." in the Molfettese dialect, I've been blessed with several of these moments of revelation. Memories have been jogged to reveal additional nuggets of vital information that often lead to further discoveries. However, for the past several years, one figure has consistently stood out as a major mystery: a paternal great-granduncle named Mauro De Virgilio. I was lucky enough to grow up in an environment full of granduncles and grandaunts. My parents also seemed to have no problem naming the siblings of their grandparents even if they only held wisps of memories. My father can still proudly recall some of his paternal grandfather's brothers whom he remembers as elderly men when he was a small child in Molfetta. However, neither my father nor any other member of his family had any inkling of Mauro's existence. Even in terms of documented evidence, he was like a mirage, disappearing and then suddenly reappearing in unexpected places. Regardless, in the end, his story reminds us of the darker and lonelier aspects of the immigrant experience. It also forces us to acknowledge that documented evidence can't always tell us the full story of a person's experience, especially the more intimate challenges or demons endured throughout the course of life. The only inconsistency is that all these records reflect a March 19, 1884 birth date. However, since I wasn't able to locate any birth records showing that a Mauro De Virgilio was born in Molfetta exactly one year after my Mauro, I can only speculate as to why this error exists. My first reaction to these finds was "Scranton?!" I've known my ancestors to be mariners, farmers, and various types of dock workers, but coal miners? Also immigrants to the US from Molfetta during this period were congregating in Hoboken, NJ. I never considered Northeastern Pennsylvania as a destination for my ancestors, but I soon learned that Italian immigrants were among the many ethnic groups who labored in the coal mines of the region. After his petition for naturalization, Mauro disappears from records. To add to my frustration, he appears in not a single census record up to this point. However, there is a positive note to this part of the story. As I dug through Scranton records and information online, I discovered a nephew of Mauro, Michele De Virgilio, who settled in Scranton too. Via this discovery, I was able to connect with Michele's daughter, my 2nd cousin once removed, who was extremely gracious with sharing all the information available to her. Unfortunately, she knew nothing of Mauro. Thus began a long drought of new data, even after seeking assistance from various PA-based genealogical experts. Finally, I decided to put the project aside for a while as one often does when faced with brick walls in family history research. Then April 2012 rolled around, and little did I know what awaited me in the highly anticipated release of the 1940 US Census. Well, another little green leaf sprouted, and a "Mauro Devirgilia" appears as a resident of the Hudson County Alms House in Secaucus, NJ. This was the closest match I had found for Mauro in any census. His age matched within a few years, and it claims that he was a resident of Jersey City in 1935. Thus, I faced an unfortunate possibility: Though Mauro's life had brought him closer to the Molfettese immigrant community in Hoboken, it had also sadly resulted in residence in the poorhouse. Delving through newspapers, city directories, and other records, I once again hit a desert of data. Then I recalled a controversy that I read about roughly a decade ago. The Hudson County Burial Grounds was a cemetery used to bury unclaimed bodies from the alms house and the neighboring asylum and penitentiary. All of these facilities were located in an area of Secaucus known as Snake Hill. The cemetery had been all but forgotten until excavations associated with a $235-million highway-interchange project exposed that the remains of almost 10,000 individuals were still entombed on the property. A group, including a fellow descendent of Molfetese immigrants whose grandfather was buried in the cemetery, fought to ensure that the remains were relocated and properly memorialized. The controversy was covered by publications throughout the nation, including Archeology. In fact, the story became the subject of an award-winning 2007 documentary, called Snake Hill. Though I followed the story with interest as it unfolded, I never thought that I had a personal connection to it, but now I decided to follow a hunch that Zio Mauro may have been among those buried at Snake Hill. Upon examining the burial list, I came across a record for a "DeVirgilio Dauro" buried on November 5, 1941. Since the name was only off by a single letter, I decided to make my inaugural visit to the New Jersey State Archives where I located this death certificate. It states that a Mauro DeVirgilio died on October 31st, 1941 and was buried in the "almshouse cemetery". Although some of his personal information is slightly off, such as his father's name (Nick rather than Michele), these inaccuracies can feasibly be attributed to facility administrators who filled out the form based on the "records of the institution" as stated on the certificate. Furthermore, whomever filled out the form didn't care much for math either since it was believed that someone can live from 1873 to 1941 and be 57 years old. These flubs aside, the most striking bit of new information on the document was his last known address, 200 Grand St. in Hoboken. Besides being the location of Hoboken's iconic Italian restaurant Leo's Grandevous since 1939, when I looked up the property in the 1940 Census, I was intrigued to find that a family headed by an Ignazio De Robertis lived in the building. While the surname De Robertis is rather common in Molfetta, Mauro's slightly older sister Vincenza married a man named Ignazio De Robertis. Though I have found no evidence of a link among the De Robertis families, it's possible that Mauro had been a boarder at some point with members of his sister's extended family. Again, this is guesswork, and much of Mauro's tale is open to theories until further evidence is uncovered. In addition to the De Robertis connection, some of the biggest teases come from the other names associated with his records, such as an alleged cousin, Mauro Rana (Mauro's mother's maiden name), whom Mauro was meeting in the US according to his passenger list. Though I have found no leads linked to such names, perhaps the internet gods will deem me worthy of a chance web search by descendants of these individuals who might be able to shed more light on Mauro's tale. The largest void in Mauro's story is from 1920 to 1940. One can't help but wonder what brought a man petitioning for naturalization to end up in the poorhouse 20 years later. Much was occurring in the world during these decades to place a life in turmoil: the Great Depression and Prohibition just to name a few. Mauro may have also suffered from illnesses, injuries, or addictions that contributed to his lonesome fate. Some might question why one would bother to explore the life of a long-dead, distant relative who may have been a vagabond. Well, as we rightfully celebrate our immigrant ancestors who lifted themselves up from nothing to various forms of success, we can appreciate their efforts all the more when we are reminded of an opposite fate that may have awaited them. Besides, if in truth Mauro was just a good man who was dealt a raw deal, then perhaps some justice is found in knowing that he is no longer forgotten.